Record of a Night Too Brief collects three short stories that the book’s cover copy describes as “haunting” and “lyrical” in their depiction of young women experiencing “loss, loneliness and extraordinary romance.” This is a lovely sentiment, but it in no way describes the actual stories in question, which are less “haunting” than they are grotesque and less “lyrical” than they are unapologetically strange. Instead of trying to treat them as romance, I believe it’s much more fulfilling to approach their absurdity in the spirit of intellectual play. Several dozen ticket collectors stood in a row, and once we passed through, showing our tickets, the tall object came into view. It was a singer, who stood as tall as a three-storey building. From where I was, I had a clear view of the beauty spot under her jaw, and the rise and fall of her breasts. “The beauty spot is artificial,” the girl informed me, gazing up at the singer, enraptured. The singer was producing notes at different pitches, as if she were warming up. When she sang high notes, flocks of birds took flight from the branches of the ginko trees. When she sang low notes, the earth heaved, and small furry creatures emerged from underground and crawled about. …and so on. It’s all very random, but one can’t help but become swept up in the ebb and flow of the constantly shifting parade of surreal images. The next story, “Missing,” is set in an apartment complex that functions according to its own arbitrary and bizarre set of customs and rituals. One of the rules of this community is that each household can only have five members. If a sixth member is added for any reason, then someone has to disappear. This recently happened to the narrator’s family after her older brother was engaged to be married. Because his fiancée would have become the sixth person, he disappeared, and the narrator’s other older brother stepped in to fill his position. His fiancée, Hiroko, has no idea that this has happened, as the rules are different in her own apartment complex, where certain members of certain families literally shrink. Meanwhile, the narrator continues to hear the voice of the older brother as he (or his spirit) skulks around the apartment. No explanation is given for any of this, as everyone takes these occurrences for granted. The final story, which provides the title of the original Japanese publication, is “A Snake Stepped On.” This story is about a young woman who one day finds herself living with a snake. This snake takes the form of an older woman who insists that she is the narrator’s mother. As she accustoms herself to life with a snake, the narrator begins to realize that many of the people around her are also living with snakes, including the local Buddhist priest whom she thought of turning to for an exorcism. Following the conventions of magical realism, the tone of this story is mundane, with the possibility of being devoured by a snake – or becoming a snake oneself – treated as merely another everyday occurrence. Record of a Night Too Brief is a short collection of curiosities that are fascinating in their novelty. The fantastical qualities of each story allow for various interpretations, and they will no doubt intrigue different readers for different reasons. As contemporary fairy tales, the stories in this collection spark and inspire the imagination. This guest review is written by Katriel Paige (@kit_flowerstorm on Twitter). Yōkai are part of an ongoing conversation surrounding global popular culture. Even in the United States we hear about yōkai through games like Pokémon and Yo-Kai Watch, and we happily watch films from Studio Ghibli that feature wondrous and strange creatures. Although Michael Dylan Foster acknowledges that commercial cultures factor into the continued vibrancy of yōkai lore, The Book of Yōkai does not focus on the portrayals of yōkai in contemporary popular media and fan culture. Rather, the goal of this text is to provide an overview of the folkloristics of yōkai, from how thinkers and artists have interpreted yōkai to how the mysterious entities have been created, transmitted, and continually redefined. Foster is especially interested in how yōkai enthusiasts create their own networks of practice, with popular media cultures as one node in those networks. As he writes, “For many of my students in the United States, for example, the terms yōkai and Japanese folklore are practically synonymous; they have encountered kappa or kitsune or tengu in manga and anime, films and video games, usually in English translation. This exposure inspires them to delve further into folklore, to find the ‘origins’ of the yōkai of popular culture that they have come to love. And that is [a] purpose of this book, to provide some folkloric grounding for yōkai they might encounter” (6). Foster succeeds in this endeavor, as The Book of Yōkai is an excellent overview, especially for those new to the study of folklore. In his first chapter, “Introducing Yōkai,” the author offers a short introduction to the shifting definition of the term “folklore,” reminding readers that, like yōkai themselves, “folklore” occupies a place-in-between, where it is both traditional and modern, rural and urban. Folklore, like yōkai, can be found both in the shadows of the forest and in the light cast by our computer screens. Just as there is no single definition of “folklore,” there is no single definition of “yōkai,” and Foster’s cogent explanations of liminality and communal creation serve as an excellent introduction to the study of cryptids and the legends surrounding them. The Book of Yōkai is divided into two sections: “Yōkai Culture” and “Yōkai Codex.” The “Yōkai Culture” section is where the reader will find Foster’s discussions of the history of yōkai, beginning with the mysterious twilight entities of the classical Heian Period (c. 794-1185) and spanning to medieval picture scrolls illustrating yōkai night parades and early modern codices classifying both natural and supernatural phenomena. The majority of this section is centered around important texts, such as the mytho-historical Kojiki and hyakumonogatari compilations of ghost stories, and influential figures, such as the artist Toriyama Sekien and the scholar Inoue Enryō. The “Yōkai Codex” describes yōkai according to their habitats, such as the countryside, the city, and the sea. This section is similar to the indexes seen in games that involve the collection of strange creatures, such Pokémon and Yo-Kai Watch. Foster’s “Yōkai Codex” also draws on and serves as a link to yōkai indexes past and present, most famously the illustrated yōkai compilations of the manga artist Mizuki Shigeru. The writing is accessible to academics and non-academics alike, making The Book of Yōkai superb for independent scholars or a general reader with an interest in yōkai. Foster by and large avoids technical jargon, and he clarifies his treatment of Japanese words and names at the beginning of the book, which aids in cross-referencing with other sources. As a folklorist, Foster privileges the storytelling experience, using anecdotes to make the reader feel as if they are having a friendly chat with the author. Although the academic foundation of Foster’s text is solid, his colorful personal stories have the potential to resonate strongly with a non-academic audience. The Book of Yōkai is a great resource for undergraduates, non-specialists, and other curious readers looking for a comprehensive English-language introduction to the historical complexities and artistic potential of yōkai. It is available in hardcover, paperback, and e-book editions from the University of California Press. Shinonome Kijin, who has provided thirty original illustrations for the text, can be found as @ushirodo on Twitter. Katriel Paige is an independent scholar of yōkai as well as media cultures and folklore. They earned a MA in Intercultural Communication with International Business from the University of Surrey and a BA from the University of Delaware with a dual focus in East Asian Studies and English, and they currently work in the technology industry. They like cats, video games, and caffeine in both coffee and chocolate forms. You can find more of their work, including their essays on Japanese culture and video games, on their Patreon page. 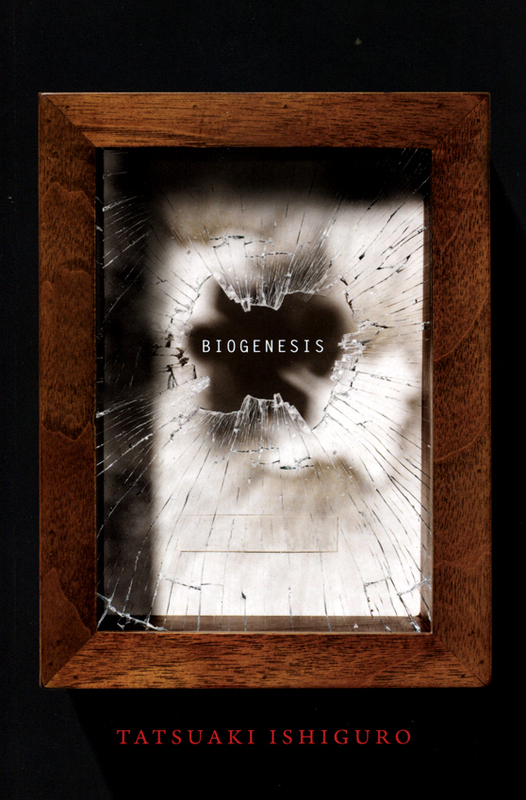 Biogenesis collects four stories by Ishiguro Tatsuaki, who is both a practicing medical doctor and an acclaimed writer of horror-themed science fiction. The book is dominated by the first story, “It is with the Deepest Sincerity that I Offer Prayers…” which takes the form of a scientific report (tables and endnotes and all) on a species of winged mice that have suddenly disappeared from their habitat in Hokkaido. The report focuses on the activities of Dr. Akedera Nobuhiko, an AIDS researcher employed under somewhat shady circumstances to “preserve the cellular and genetic information” of the vanishing species. Akedera was apparently so fascinated by what he found in the process that he insisted on undertaking ecological research as well, recording accounts of sightings and deaths. Akedera was able to draw a number of unsettling conclusions from this data. First, the winged mice seem to die in waves. Second, there are unusual patterns regarding their movements and seasonal behavior. Third, many of the people who have documented and captured winged mice attest to a strange glow either emanating from their bodies or otherwise present when and where they gather. Finally, live mice are most often found and photographed by or in the prescence of human children. Akedera is sent back to Tokyo, but he continues to involve himself with research and preservation efforts, which result in the discovery that cultures of winged mice cells exhibit startling tendencies and may even possibly be immortal. What exactly is going on with this species – and what exactly drove Akedera’s intense interest? The dry tone of the story’s scientific prose forms a gorgeous ironic contrast to the fantastic nature of what it relates, and the reader is encouraged to employ her own analytical acumen to excavate a number of details from between the lines. The typeface used for this story, which lends it the air of an unpublished manuscript, is a nice metadiegetic touch. The second story in the collection, “Snow Woman,” begins with a clinical description of hypothermia. The narrative quickly moves to a discussion of a medical condition called “idiopathic hypothermia,” in which an individual’s stable body temperature is about 15°F lower than normal, which suggests “the possibility of an extended lifespan due to lower metabolism.” This information serves as an introduction to a scholarly account of the discovery of the condition and the mysterious death of the army doctor who published the first paper about it in the 1920s. This doctor, Koho Yuhki (which is the name he published under in German), had been stationed at a mountain clinic in Hokkaido, where he had been instructed to investigate cures for frostbite. At a certain point during his studies, Yuhki was presented with a woman who had entered a coma after falling asleep in her woodshed in subzero conditions. Although she regained consciousness, her body temperature never rose above 86°F, and any attempts to return it to normal were met by a dangerous drop in her blood pressure. The scientific community considered Yuhki’s published findings a hoax; but, in 1997, a number of army documents were declassified, revealing that his case study was even stranger than it seemed. “Snow Woman” is written almost exactly like a scholarly essay, so much so that Ishiguro almost managed to convince me that “idiopathic hypothermia” is real. Seriously, I had to google it. The science fiction subgenre of providing rational explanations for seemingly supernatural phenomena is not new, but Ishiguro handles the “science” elements more deftly than any other writer I’ve encountered. The metadiegetic elements he incorporates into each story imbue the experience of reading them with an extra touch of thrill and wonder, as if you yourself have stumbled onto a rare and bizarre scientific breakthrough, perhaps by having slipped ever so slightly into a parallel universe in which such things were truly possible. The third and fourth stories in Biogenesis are equally intriguing, but I’ll leave you the pleasure of discovering them for yourself. Ishiguro’s fiction is as much about the art of science as it is about the pleasures and potential of the unexplainable, and I’m keeping my fingers crossed that more of his work finds its way into English soon. Zack Davisson is a major rising star in the world of manga translation, having worked on high-profile and award-winning titles such as Mizuki Shigeru’s Showa: A History of Japan and Oishii Mamoru and Kon Satoshi’s Seraphim: 266613336 Wings. He is also a consultant for the ongoing comic series Wayward, for which he writes the closing essays. Fans of yōkai and other Japanese cryptids will know him from his blog, Hyakumonogatari Kaidankai, and he also maintains an active Twitter account, which is a great source of news on the American comics scene. Yūrei: The Japanese Ghost is Davisson’s first book, and it’s published by no less than Chin Music Press, which regularly releases Japan-related literary objets d’art such as Kūhaku & Other Accounts from Japan and Otaku Spaces. There’s obviously been a great deal of talent invested in this book, and it shows. Yūrei are the ghostly cousins of yōkai, and their spectral tendrils stretch deep into Japanese history. Although he occasionally touches on contemporary popular culture, Davisson is mainly concerned with the society and print media of premodern and early modern Japan. Each of the twelve chapters in Yūrei covers one in-depth topic, the discussion of which is usually centered around a specific artistic work. 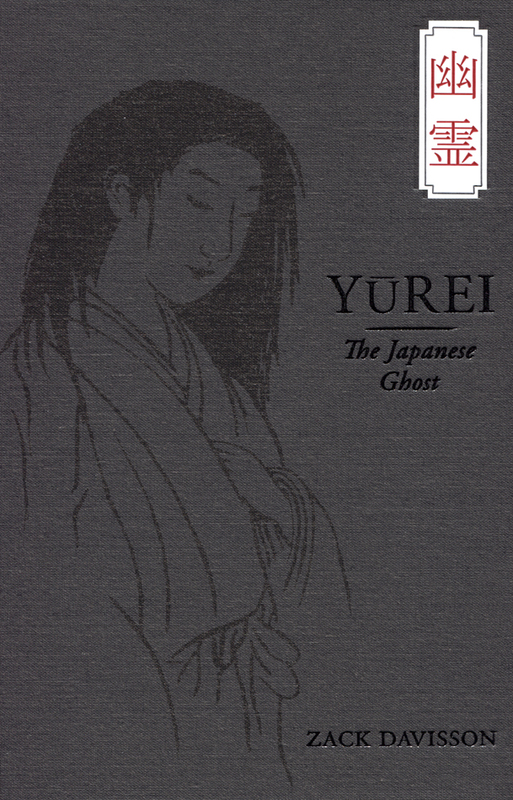 The first chapter takes as its subject “The Ghost of Oyuki,” the Edo-period painting by Maruyama Ōkyo that appears on Yūrei‘s cover. Davisson investigates the origin of this iconic image, melding history with legend. The second chapter covers kaidanshū, or “collections of weird tales,” while the third delves into the world of kabuki. The fourth and fifth chapters offer maps of the geography of the land of the dead, both imagined and, in the case of certain sacred mountains, real. Chapter 6 conveniently details how not to end up as a ghost, and Chapters 7 and 8 recount the lives and afterlives of people who really could have used this advice. Chapter 9, “The Ghost of Okiku,” is an Edo-period case study in how hauntings occur, and Chapter 10 brings the concept of haunting, or tatari, into the present by way of horror movies and urban legends. The eleventh chapter provides an explanation of the traditions surrounding Obon, the festival of the dead. Finally, the twelfth chapter is an informative analysis of Ueda Akinari’s Tales of Moonlight and Rain, which was published in 1776 but still stands (or hovers creepily) as one of the finest works of dark fantasy in any language. Although every chapter is a lot of fun, my favorite section of the book is its Introduction, in which Davisson relates a personal anecdote about how he and his wife lived in a haunted apartment in Osaka for seven months. Part of the appeal of reading ghost stories is imagining that you yourself might one day come into contact with the supernatural, so I can’t imagine a better way to begin a book like this. Davisson transitions into a brief overview of what the term “yūrei” signifies, how it differs from the Western concept of “ghost,” and its pervasiveness in contemporary film and literature. If I were a curious horror fan, or perhaps a teacher looking for a concise and engaging essay to assign as reading for a class on Japanese folklore, Yūrei‘s Introduction would suit my needs perfectly. Unfortunately, the writing in Yūrei is not always uniformly smooth. In certain sections of the book, there are brief moments of jarring dissonance, as when one paragraph states that the constant warfare of the Sengoku period (1467-1603) generated countless ghost stories because of people needed a way to process their fear, while the next paragraph argues that ghost stories proliferated in the Edo period (1603-1868) in a way that they couldn’t before because people were finally free from fear. These paradoxes are relatively minor; and, in Davisson’s defense, such seeming contradictions need not be regarded as such, as multiple interpretations are equally valid. This is a book about ghosts, after all. Yūrei is an extremely handsome publication. It opens with eight full-color images depicting yūrei as imagined by artists in the Edo period. There are fifteen additional images interspersed throughout the book, each of which is accompanied by a short explanation. There is also a glossary at the end, which helpfully provides the kanji for each term, as well as a useful five-page list of English-language works referenced. The book’s most interesting index is its collection of 33 yūrei kaidan (“strange tales”), which are organized by theme, such as “Tales of Ghostly Vengeance” and “Tales of Ghostly Love.” As it’s difficult to find stories from medieval and Edo-period kaidan compilations outside of out-of-print academic publications, these translations are an extremely welcome addition to the project. Review copy provided by Chin Music Press. (Full disclosure: I was so excited about this release that I begged for a review copy, and they sent me one just to get me to go away. It was totally worth it.) You can preview the book on Davisson’s blog. In 1910, the famous ethnologist Yanagita Kunio published the Tōno monogatari, a collection of folk legends from the Tōno region of central Iwate Prefecture in northeast Japan. Although the authenticity of these records is debatable, the collection is extremely important and has influenced subsequent generations of folklorists, including the inimitable manga artist Mizuki Shigeru. In 1975, Robert A. Morse translated the work as The Legends of Tono. Inoue Hisashi was born in Yamagata Prefecture, which is southwest of Iwate but still in the Tōhoku region. Although famous primarily as a playwright, Inoue is also known for his novels, many of which are humorous and contain elements of fantasy and science fiction. Tales from a Mountain Cave, or “The New Legends of Tono” in its Japanese title, is Inoue’s take on the Tōno monogatari, which he sets in the coastal town of Kamaishi, just east of Tōno. If you’re not a professional historian or ethnologist, the Tōno monogatari can require quite a bit of study to fully appreciate. Robert Morse’s translation is remarkably well done, and the book is nicely published, but the work is still difficult to read for pleasure. Tales from a Mountain Cave, on the other hand, is a lot of fun. 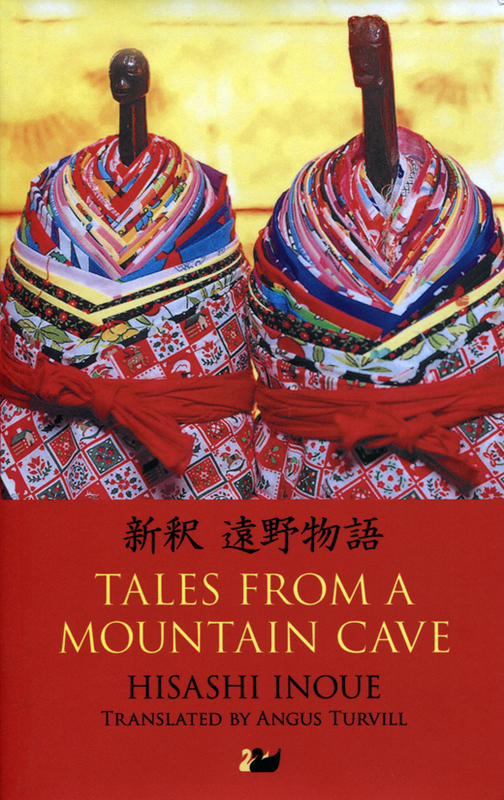 The nine stories in Tales from a Mountain Cave are relayed to the narrator, a young man taking time off from college, by an old man named Inubuse Takichi, who lives in a small cave in the mountains behind the sanatorium where the narrator works. Initially drawn to Inubuse by the sound of his trumpet, the narrator forms a habit of spending his lunch break with the old man, who rewards him with a series of stories about his life. According to him, there were several thousand kappa in the Hashino River, but when in the water they were translucent, like jellyfish. In fact they couldn’t be seen with human eyes at all. Once they were out of the river they took the form of children or travelers. In the mountains they appeared as monkeys or phesants. They could change size as well as appearance – a thousand kappa could hide in the puddle of a horse’s hoof print. Far from being remixed or modernized versions of legend fragments, each story has a clear and compelling narrative arc; and, although they’re all connected, all but the last of the stories (which ties everything together) can be read by itself. The major theme of the collection seems to be the inability of human beings and yōkai to coexist, which can be understood as representing a fundamentally antagonistic relationship between human society and the dangerous wilderness of the Tōhoku region. If you’re looking for the sort of religious messages common in medieval Japanese folktales, they’re practically nonexistent, but Tales from a Mountain Cave does offer plenty of sexuality and earthy humor. I really enjoyed this collection. It’s colorful, charming, and highly entertaining. Even if you’re not familiar with Japanese history or folklore, you’ll still enjoy Inoue Hisashi’s outrageous stories and charming prose. Review copy provided by Thames River Press. 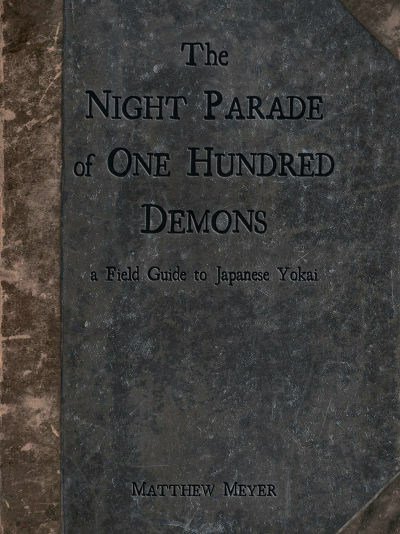 The Night Parade of One Hundred Demons, which began its life as a Kickstarter project, collects roughly four dozen entries on various yōkai, which are accompanied by lavish full-color illustrations. Both the pictures and the text are by Matthew Meyer, an artist heavily influenced by Japanese prints. Meyer has lived in a rural town in Fukui prefecture since 2007, and, as he explains on his Kickstarter page, he has been collecting and translating local folklore for years. There are a number of other books on yōkai available for digital download (such as Matt Alt and Hiroko Yoda’s fantastic Yokai Attack! 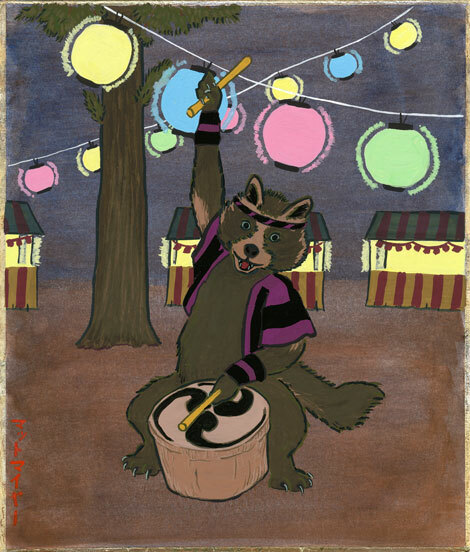 ), but what The Night Parade does especially well is to add regional color and variety to Japanese legends of supernatural creatures that may already be familiar to many Japanophiles. Compiled in such a way as to resemble an illustrated bestiary, The Night Parade is divided into several sections, which include “In the Wilds,” “Out on the Town,” and “In the House.” The book includes entries on yōkai that appear frequently in popular media, such as the kappa, the kirin, the kitsune, the tanuki, and the yuki onna, as well as many lesser-known creatures, such as the bake kujira (an enormous ghostly whale), the jorōgumo (a man-eating spider), and the nuppepō (a flabby, stinky lump of flesh that lives in temple graveyards), and the nopperabō (who looks and acts like an ordinary person but has no face). Each entry contains information on the diet and appearance of these yōkai, their behavior, their interactions with human beings, and the various forms they may take, as well variations on and translations of their names. Many of the entries are also peppered with interesting information about the historical and cultural contexts of these creatures. For example, the entry on the takanyūnō, or “tall priest,” contains a special section on why suffixes relating to Buddhism and Buddhist priests are so common in the names of yōkai. (Apparently, it’s not so much a connection to religion as it is a certain wariness regarding traveling priests, or at least strangers dressed as traveling priests.) The entry on the kerakera onna, a gigantic “cackling woman” who haunts the alleyways of red light districts and hounds men into their graves with her incessant laughter, alludes to the tendency in Japanese folklore to grant great power to long-lived things, whether they be cats (which become neko mata) or eating utensils (which become tsukumogami), and surmises that prostitutes who managed to live into middle age may well have become yōkai, an interesting conjecture that leaves the mind to wonder about what such a bit of folklore might correspond to in a less numinous context. Meyer has published his work through Amazon’s CreateSpace program, which offers both print and digital versions of the collection. I can’t offer an opinion of the physical copy of The Night Parade, but the digital edition is beautifully formatted, and its images are of extremely high quality. Although the book is relatively kid-friendly, it includes frank (although far from explicit) references to prostitution and human sexuality. Most of the images are stylized as colorful and cute or understated and eerie, but a few (such as the illustration of the ubume, a spirit of a woman who has died during childbirth) may be too intense for younger readers. My honorary nieces and nephews have been delighted by pictures like the illustration of the onryō, a vengeful ghost who is depicted as a pale shrieking woman bleeding from her eyes, but discretion might be advised for more sensitive children. Meyer has recently launched a successful Kickstarter project for a second collection, titled The Hour of Meeting Evil Spirits, so expect another excellent illustrated bestiary from him soon!